Recognized for its revolutionary design, with the combination of comfort and original style, the chair has remained a celebrated furniture classic of the 20th century. 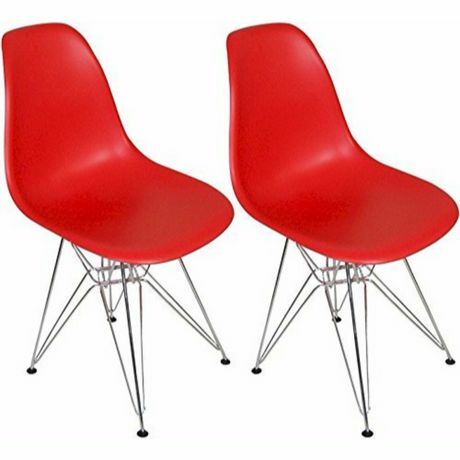 The retro simplicity of these classic white accent chairs will instantly enhance the modernity of your room. The ergonomically curved form is perfectly adapted to the shape of the body and the combination of chromed metal wires of the base add to the aesthetic value of the design as well as ensuring the stability of the chair. 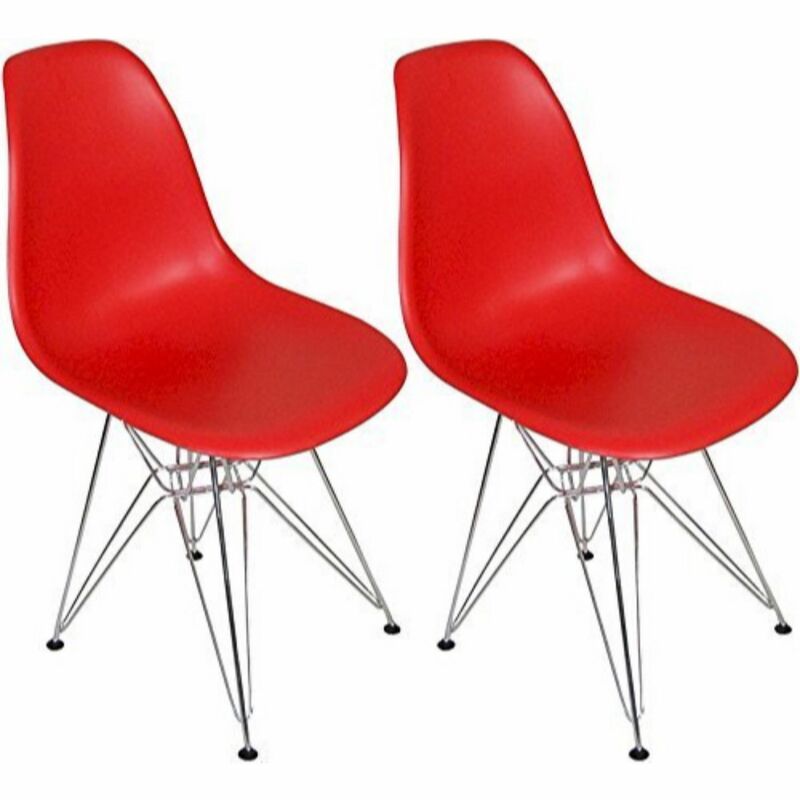 Each of these contemporary accent chairs is made from durable matte-finish molded plastic (except the transparent version) with an ergonomically-shaped and curved seat. There are black plastic tips to protect sensitive flooring. This item is sold as a set of two, and simple assembly is required. This design has matching arm chair as well.